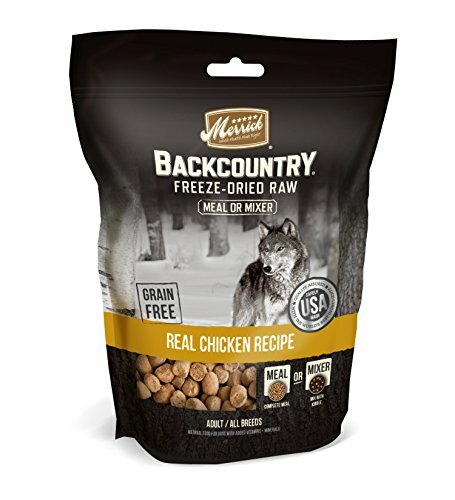 Merrick Backcountry Freeze-Dried Raw Meal or Mixer locks in the nutritional benefits of raw with a delicious taste your dog will go wild for! These recipes are protein-rich and blended with vegetables and fruits for a healthy meal. Adding Merrick Backcountry to your dog's diet provides a convenient and nutrition-packed boost of raw that they will love! Can be served as a complete & balanced meal or added to your dog's kibble as a topper! If you have any questions about this product by Merrick, contact us by completing and submitting the form below. If you are looking for a specif part number, please include it with your message.